Star Wars: Why the US needs Space Forces? August 14, Defense Secretary James Mattis said US Space Force is necessary to protect American satellites from being targeted by attack weapons in the hands of China and Russia. Earlier, US Vice President Michael Pence spoke about plans to create a sixth, separate U.S. military warfighting service by 2020 to ensure American dominance in space. 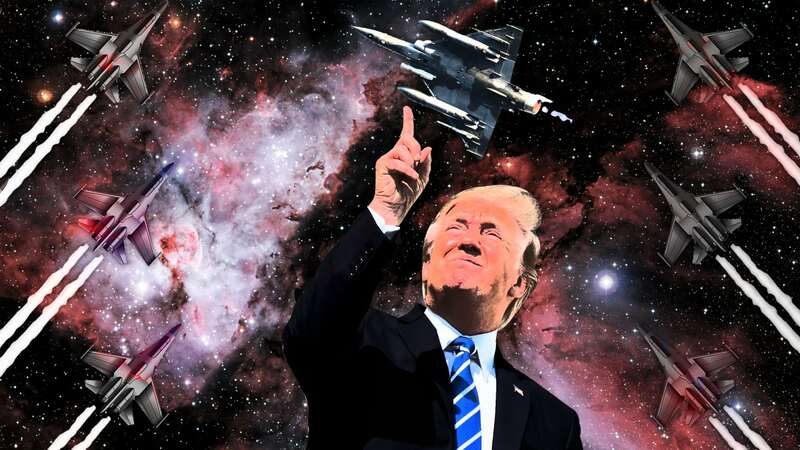 Earlier this year, US President Donald Trump said that space forces are needed to conduct military operations in space. It is proposed to involve 40 thousand people in them. The rhetoric of the top American leadership can seem fantastic, resembling "Star Wars" video games. However, the real goal of the space forces will be not so much the defense of near-Earth borders, but rather the political tasks aimed at containing possible provocations of Moscow and Beijing. At first glance, it is not clear why one needs to create space forces, if the US Strategic Command is already engaged in military issues related to outer space, and the responsibility for ensuring near-earth space security belongs to the US Air Force. Against this idea were made by US Secretary of the Air Force Heather Wilson and David L. Goldfein, Chief of Staff of the US Air Force. Former US Secretary of Air Force Deborah Lee James does not see the feasibility of creating space troops, because it would involve various problems, including a lack of money to develop a new structure, a slow acquisition of necessary equipment, and a shortage of qualified specialists in the field of space operations with a military bias. Even the head of the Pentagon, James Mattis, has not supported the idea of creating space troops until recently. The creation of space troops will also affect the reduction of funding for the US Air Force. Last year, the Air Force allocated $ 7 billion for space-related expenses. Americans will have to spend extra money and time for reassigning the space forces of some agencies and structures, including the US Air Force Space Command, the US Army Command of the Anti-Space Defense, which are now in charge of other combat arms. In addition, military activities in outer space are contrary to the norms of international law. According to the 1967 Outer Space Treaty, to which most of the world's countries, including the United States, Russia, and China, are party today, it is prohibited to place conventional and nuclear weapons in the near-earth orbit. American response to Russia’s and China’s "Star Wars"
Despite the US Air Force representatives skepticism concerning the idea of creating space troops, they themselves acknowledge that at the present stage, space is an area for the military operations, like land, air or sea. Director of National Intelligence of the USA Dan Coates believes that it is necessary to pay attention to possible threats from outer space in connection with the development of anti-satellite defense equipment. To some extent, space satellites can be considered the Achilles heel of America's military machine. Coates is confident that if US satellites are shot down, then the US capabilities in the military sphere will be significantly reduced. According to Colonel Richard Zellman, commander of the 1st Space Brigade, 70% of all US military systems depend on the transmission of signals from space. Satellites play an important role in collecting information and photographing the area for reconnaissance purposes. Congressman Ken Calvert saуs that Russia and China are developing lasers and other military means that could become a call to satellites in near-earth orbit. The fears of the US military and officials are not groundless. In recent years, Russians and Chinese have been actively "playing" the "Star Wars" game. In 2016, the Russian military tested an anti-satellite missile PL-19 Nudol. It is assumed that this weapon is capable of disabling telecommunication and navigation satellites. The missiles are part of a prospective complex of anti-missile and anti-space defense A-235, which will be based on the wheel chassis of the wheeled vehicles manufactured at the Minsk plant. Russia is developing lasers to disable the optics of military satellites. 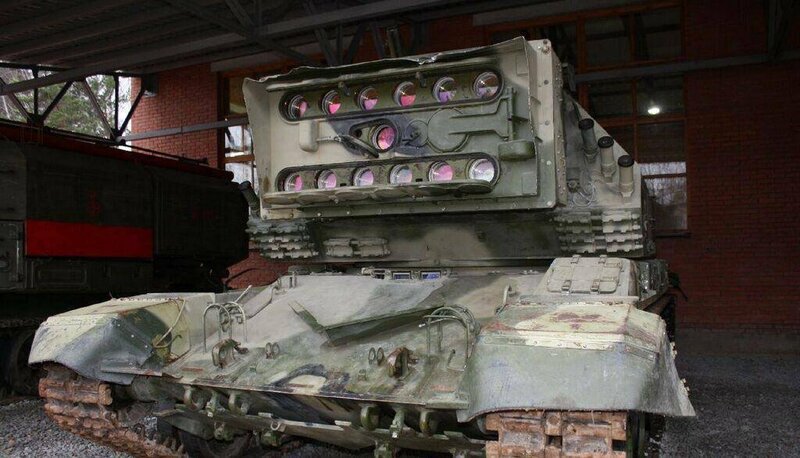 According to the expert of the Center for Analysis of Strategies and Technologies Vasyl Kashyn, Russia has been developing laser weapons in the framework of the Sokol-Echelon program since 2005. Within the framework of the project, a conditional target was struck at a distance of 1,500 km from the Earth's surface. Laser weapons are “forgotten old ones,” which the Kremlin is trying to use in space. In 1980-1990-s in the USSR, self-propelled laser complexes “Stilet,” “Sangvin,” “Compression,” deck complex "Aquilon" were developed to counteract optoelectronic devices. Laser complexes were installed on AN-40 aircraft. According to Dan Coates, Russians also have kamikaze satellites that can go to ramming. Apparently, we are talking about Russian satellites such as "Space 2499", which are able to maneuver in orbit and approach other satellites. China has succeeded in the development of anti-satellite defense equipment. In 2007, the Chinese military destroyed their own FY-1C meteorological satellite with a rocket. In 2016, tests were carried out of an extra-atmospheric Dong Neng-3 missile designed to destroy the satellites. In 2016-2018 years, there was information about the test of China's hypersonic aircraft WU-14, Xingkong-2, which are capable of maneuvering in dense layers of the atmosphere, overcoming existing missile defense systems and carrying conventional and nuclear warheads on its board. The Americans also have their own achievements in the sphere of anti-satellite defense. The Aegis anti-missile defense system is capable of shooting down satellites. In 2008, an American military satellite USA-193 was shot down from Aegis, which went into a wrong orbit. In the US, laser weapons were developed, including ship-based weapons. Today, the States are developing supersonic missiles. The prospects for the creation of space troops to contain military activities of Russia and China in space depend on the decision of the US Congress. Last year, Congressmen Jim Cooper (Democrat) and Mike Rogers (Republican) drafted a bill on the creation of space troops. The law on the national defense of the United States for 2019 (regulates military expenditures) contains a provision stating that the defense minister should develop military policy in outer space. According to James Mattis, the US is not going to conduct the militarization of space, deploy weapons there, but the country should be ready to rebuff in the event of threats to US satellites. The Secretary of Defense keeps a secret of how space troops will counter threats to US satellites. Mattis’s colleague of the US Air Force Department Deborah Wilson voiced the plans to increase the cost of space operations by 18%. It is still unknown whether space troops will be created or not, but the US military is going to pay more attention to strengthening security in outer space as opposed to Russia and China. It is possible that the very idea of creating space troops is used by the US for psychological impact on Moscow and Beijing, as it was during the years of the Cold War. In 1983, US President Ronald Reagan announced the long-term research program "Strategic Defense Initiative" (SDI), whose goal was to create a scientific and technical base for the development of a large-scale anti-ballistic missile defense system with elements of space base. It was assumed that such a super-missile defense system was supposed to shoot down Soviet ballistic missiles directly from the outer space, contrary to the limitations of the space treaty. Within the framework of SOI, it was allowed to use lasers, interceptor satellites, atomic grapple, railguns capable of dispersing the projectile to several hundred kilometers per second. In this truly fantastic program, which was informally nicknamed the "Star Wars," over 20 companies and research institutions from the US and UK took part. The real goal of SDI was to provoke growing concern in the Soviet Politburo. Initially, the Secretary General of the Soviet Union Yuri Andropov was skeptical about the SDI program, believing that the US would not be able to implement an effective missile defense system in space. Nevertheless, the Soviet Union began to believe that the Americans would eventually be sooner or later able to develop it. The information war waged by the States against the Soviet Union under SOI sauce influenced the fact that the Kremlin was convinced of the futility of continuing the arms race. The decline in world oil prices had negative impact of the Soviet economy. Subsequently, the Soviet Union agreed to conduct negotiations with the United States on the reduction of the nuclear weapons. Perhaps, a similar goal is pursued by the Trump administration, initiating the creation of space troops. The US wants to persuade Russia and China to abandon their advance in the development of missiles and other weapons that could disrupt the work of US satellites. Republicans have created informational noise and would wait for the reaction of the Russians and the Chinese. The mere fact that the US is creating a new kind of force to contain the threat from space suggests that the Pentagon perceives modern missile programs of Russia and China as a challenge to national security and are ready to threaten with retaliation. Apparently, the Americans are preparing the ground to persuade Russians and Chinese to a new multilateral treaty in the field of arms limitation, which can pose a threat to satellites and circumvent the terms of the treaty on outer space. If Russia and China continue to carry out activities in the development of anti-satellite weapons, then the US will have an argument for the introduction of new sanctions. The Americans have already decided to impose sanctions against Russia, using as an argument the Kremlin uses banned chemical weapons (the case of Skripal).